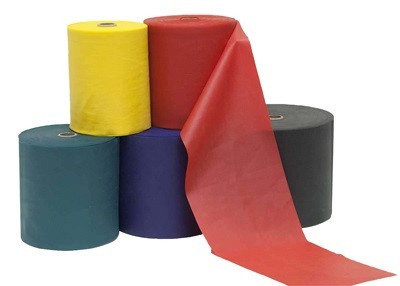 Body Sport Resistance Bands® is specially designed for resistive workout. 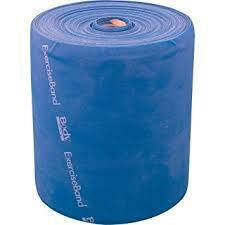 Body Sport Resistive Bands offer great versatility in developing a home exercise program. 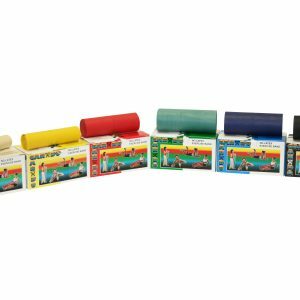 Use them to improve muscular endurance and strength, range of motion (ROM) and flexibility. Fitness levels and width are comparable to DynaBands. 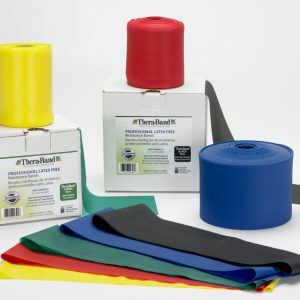 Body Sport Resistance Bands come in seven color-coded resistance levels. 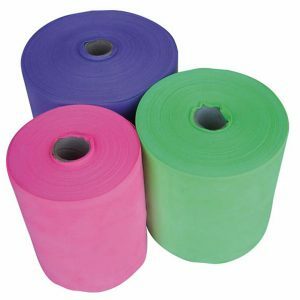 When you buy a bulk roll of resistance bands, you can cut them to the needed size, saving you money when compared to pre-cut bands. 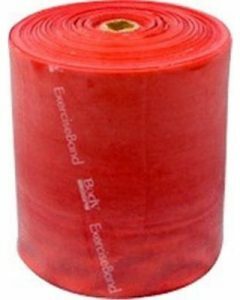 Safe and effective, Body Sport Bulk Exercise Bands eliminate jarring spring-backs and allow proper circulation by spreading resistance over a wide surface area. Comfort Band is wide for ease-of-use. Because the band distributes the resistive force over a wide area, circulation is not impaired. Versatility Body Sport can be used as a straight length, but it works equally well tied in a loop or looped around a chair or other stationary object. 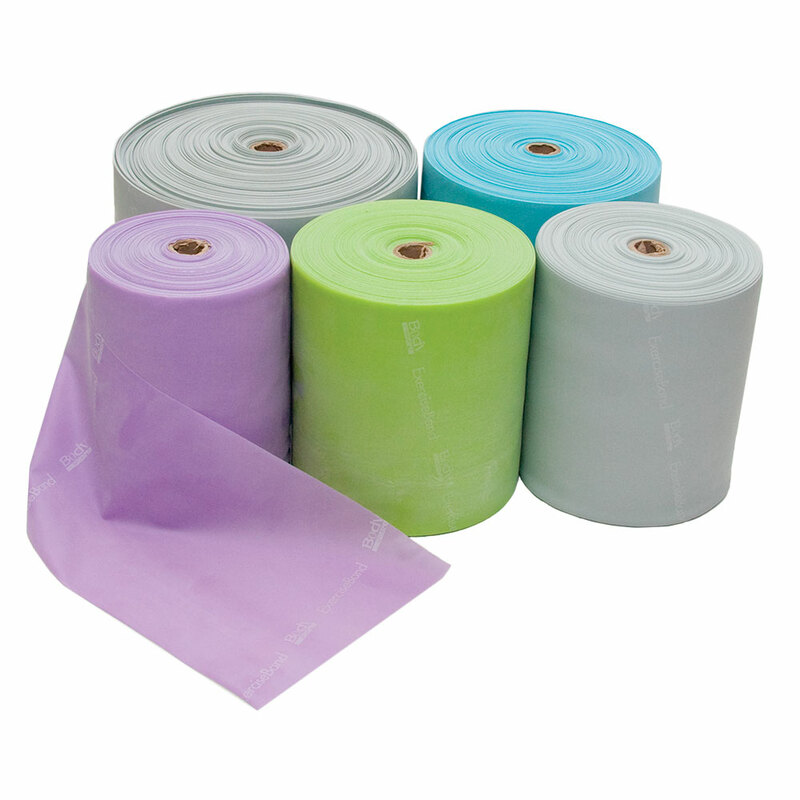 Portability Band is light-weight and flexible…fits easily into purse, pocket, or tote. Elasticity Body Sport can be stretched and relaxed in a smooth, consistent manner. This prevents the jerky spring-back that can cause muscle spasm. Economy Compared with conventional exercise equipment, the Body Sport is very inexpensive.